Made from 100% moisture-managed polyester, this charcoal and mustard mesh rugby features an embroidered Guinness Trademark Patch with the Arthur Guinness signature. On the back features an embroidered"1759".Comfortable and technologically advanced moisture-managed 100% polyester jersey has mustard color mesh panels under the arms to keep you cool and dry all season long. 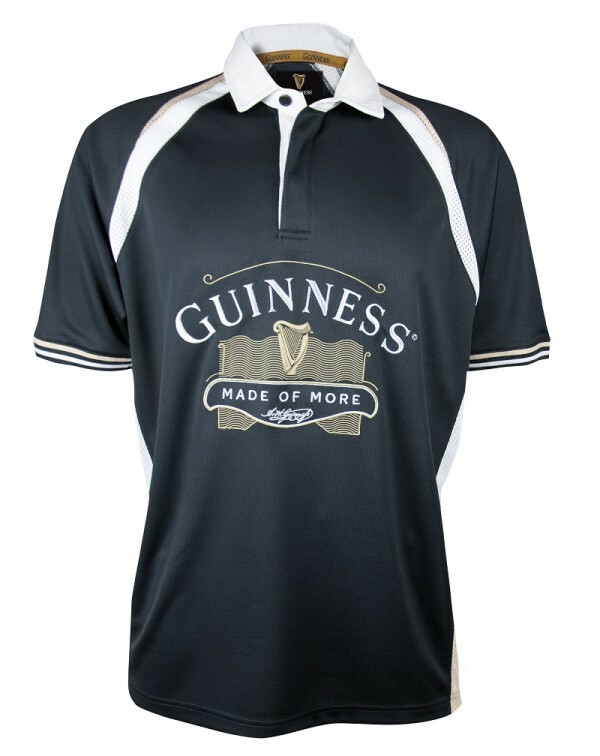 GUINNESS along with Arthur Guinness signature and harp logo are all embroidered in great detail to give the jersey an even more authentic feel and look. Embroidered Harp logo detail on the back neck along with stitched 1759 established year on back full center. This jersey has an athletic cut and fit to it.If you are between sizes or like your jerseys with a bit of room to them order the next size up.